The anti-plastic movement is a milestone gateway that could prompt both businesses and consumers to start thinking on a larger scale about their environmental impact. 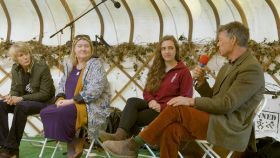 That was one of the key messages that came out of the first-ever plastic debate hosted by organic veg box company Riverford at its farm near Totnes. The event took place last weekend (27 October) as part of the company’s annual Pumpkin Day festival, which this year sold out with almost 2,000 visitors from across Devon. 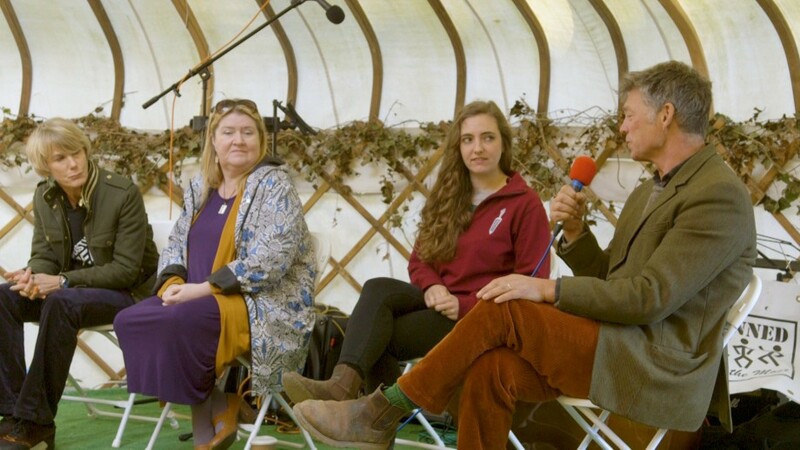 Panellists on the debate included Guy Singh-Watson, founder of Riverford and long-term environmentalist; Sian Sutherland, co-founder of campaign group A Plastic Planet; Jackie Young, head of the campaign to turn Plymouth plastic free; and Robyn Copley-Wilkins, packaging technologist at Riverford, who has spearheaded the company’s upcoming move to home-compostable packaging materials. Chaired by former deputy editor of Fresh Produce Journal, Nina Pullman, the debate covered the alternative materials that are available already, as well as the long-term impacts of the huge rise in public awareness around the issue. Summarising the plastics issue, Sutherland said: “We founded A Plastic Planet with one aim: to ignite and inspire the planet to turn off the plastic tap. There is no perfect circle that we’re ever going to fit into with recycling. We just need to use less of it in the first place. Riverford packaging technologist, Robyn Copley-Wilkins, has spent the last eight months researching sustainable packaging materials as part of the company’s move to home compostable and plastic free. The company will be switching to cellulose-based packaging to replace plastic, and it has already replaced its plastic netting for citrus and onions to beech wood. “By the end of 2020, Riverford is going to move to home compostable,” she said. “It’s actually a real alternative to plastic so there’s no falsified materials or oil in there – what it will be made from is cellulose from trees. “When a tree is made into paper you can keep stripping it down, and what you end up with is molecules that you can join together into something that has a very plastic-like feel, but is more breathable, so it has properties we can use on our fruit and vegetables but we can also use it with our usual packing machinery. “One of the really great things that has come out of this movement against plastic is the funding and opportunity for universities and research organisations to really get involved in packaging alternatives for conventional products. It’s given people the capital and the headspace to start thinking more innovatively about packaging. Paper will be the next material to come under scrutiny, according to Copley-Wilkins, as people start to ask how far it has travelled, and whether forestry systems are sustainable. Singh-Watson, who was interviewed on Radio 4’s Costing the Earth programme on the subject of plastic recently, said he believes home-compostable packaging is the right strategy. Singh-Watson also pointed out the limitations of focusing only on reducing plastic in the context of other issues such as food waste, where food can end up in landfill and emitting methane, as well as highlighting the carbon footprint of alternative materials.